The Butterflies and Moths of North America (BAMONA) project is based upon work previously supported by the U.S. Geological Survey (USGS) Northern Prairie Wildlife Research Center (1995-2003) and the USGS National Biological Information Infrastructure (NBII) Program (2004-2011). In 1995, a team of scientists at the NPWRC conceived and developed two sites: Butterflies of the U.S. and Moths of the U.S.; these separate sites were inspired by paper atlases created by Paul Opler, Harry Pavulaan, Ray Stanford, and their many cooperators. These resources achieved almost instant success and quickly became the most popular of the more than 400 biological resources on the NPWRC website. Shane C. Erstad, Douglas H. Johnson, and Terry L. Shaffer were instrumental in the inception and development of the resources. Approximately 50 students from Jamestown College coded data, prepared photographs, and formatted species accounts. Thomas K. Buhl and the late David P. Fellows responded to thousands of e-mail inquiries that the resource spawned. In 2004, Montana State University received funding from the NBII Program to manage and maintain the two Web sites that were originally developed by the NPWRC. From 2005-2006, staff members from MSU redeveloped and merged the sites to create an interactive, searchable, and updateable web-enabled database of butterfly and moth records. The first version of BAMONA was launched in 2006, and both usage and participation soared in the ensuing years as citizen scientists contributed data. Standardized data collection and an improved turnaround time made it possible to release dynamic maps that changed immediately when new records were added to the database. In January 2011, a new version of BAMONA was launched featuring Canadian data, maps displaying point data and recent submissions, and a new online submission/review process. BAMONA also published a Web Mapping Service (WMS) of the county-level U.S. data for use in mapping applications. In the President's budget for Fiscal Year 2012, the NBII Program was slated for termination. The year-long continuing resolution for Fiscal Year 2011 enacted by Congress accelerated the reductions in the President's Fiscal Year 2012 budget by including a $3.8 million decrease for the NBII. As a result, USGS began the termination of the NBII in Fiscal Year 2011 and indicated that it would not provide any further funding to existing partnerships, including BAMONA. 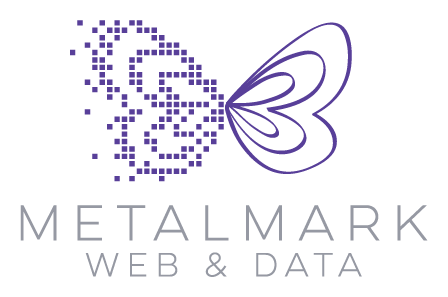 Since 2011, the BAMONA project has grown and evolved under the purview of Kelly Lotts and Thomas Naberhaus at Metalmark Web and Data. Lotts and Naberhaus are responsible for everything from systems administration, database management, and website development to volunteer recruitment, communications, and data delivery. The project receives invaluable scientific oversight and support from more than fifty tireless volunteer regional coordinators who review and correct submissions.